In 1946, when the Guide Dog Foundation for the Blind was founded, its mission was simple: to provide guide dogs and training – free of charge – to people who were blind or visually impaired. For 70 years, the Guide Dog Foundation has trained and placed guide and service dogs to provide increased independence and enhanced mobility to people who are blind, have low vision or have other disabilities. Once they make the decision to get an assistance dog, applicants become part of the Foundations' open and welcoming community and are supported with an uncompromising commitment to excellence, from highly empathetic and certified trainers, to a meticulously constructed curriculum. The Guide Dog Foundation pairs each student with the dog that’s right for them – and the power of their bond makes ordinary moments extraordinary. Crossing the street independently becomes a moment of liberation. Traveling alone becomes a welcome adventure. Embracing new experiences becomes an everyday occurrence. Why Choose the Guide Dog Foundation? People come to the Foundation for our trademark small classes, and individualized instruction. The Guide Dog Foundation programs often attract people who may have special requirements. The organization has successfully worked with people who are hearing-impaired in addition to being blind, as well as many who are physically challenged. With their courage and determination, these remarkable teams reconnect us all to the highest form of freedom there is: the freedom to experience the world around us in any way we choose. 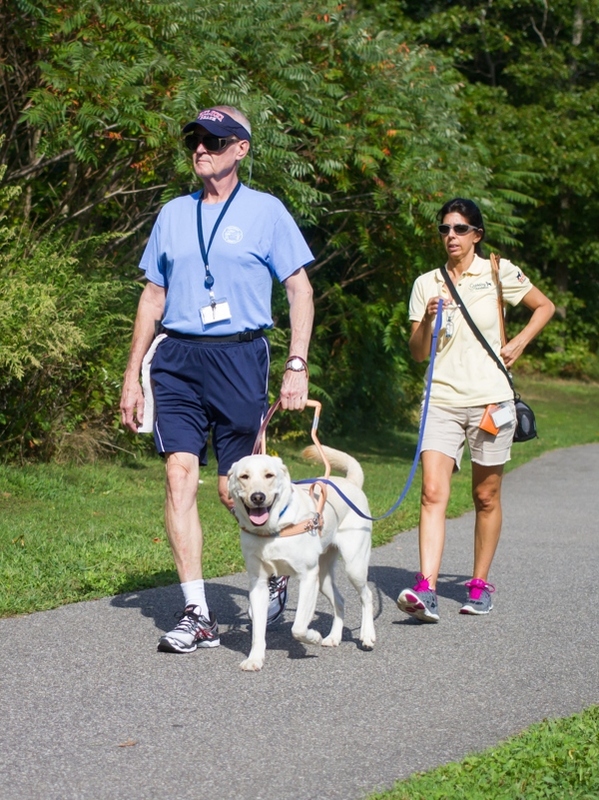 With a guide dog by their side, a person who is blind or has low vision can live without boundaries. It costs over $50,000 to breed, raise, train, and place one assistance dog; however, all of the Foundations' services are provided at no charge to the individual. Funding comes from the generosity of individuals, corporations, foundations, businesses, and service and fraternal clubs. The Foundation would not be able to provide guide and assistance dogs free of charge to our consumers without your help. The Guide Dog Foundation appreciates every dollar we receive, and your faith in us is extremely important. Fiscal prudence is one of our top priorities as your donations allow us to advance our mission. As we have been privileged to witness, a guide or assistance dog brings a newfound sense of independence and dignity to someone with disabilities. To learn more about the history of the Foundation, CLICK HERE. NOTE: A highly rated Charity by Consumer Reports website.